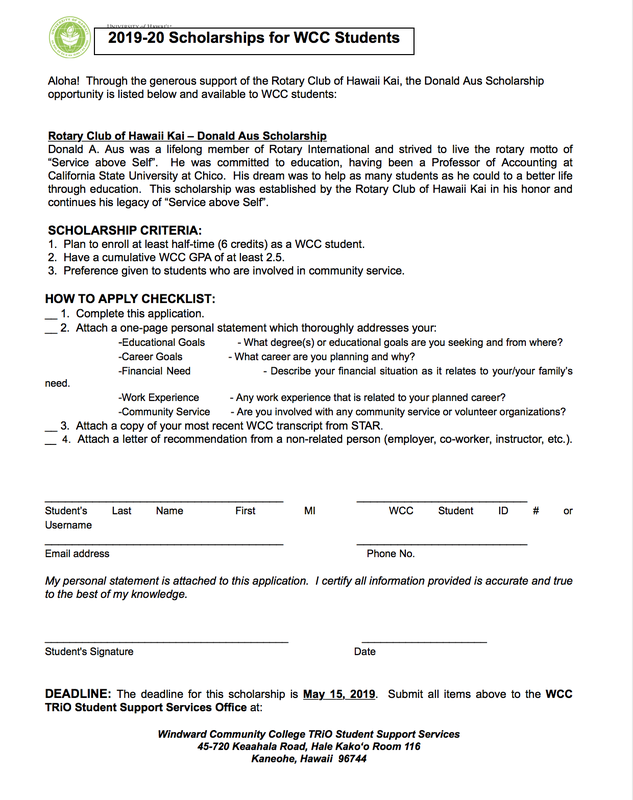 Attached are two more scholarship opportunities for you folks. In the past, TRiO SSS/Paipai participants have been the ones to receive many of the awards so you might want to include that you are a part of TRiO SSS/Paipai in your personal statement. 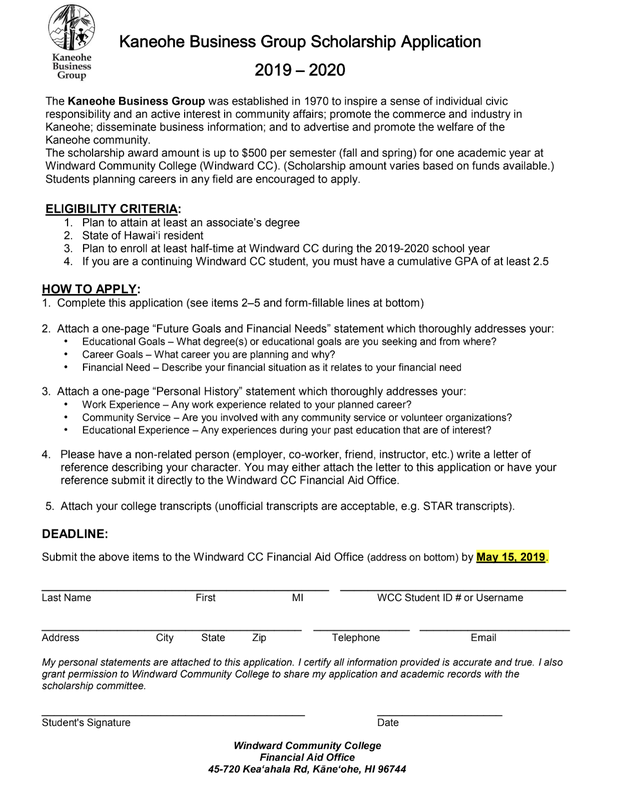 The DEADLINE is May 15, 2019 for both just in case you needed something to do besides studying for your finals and finishing up your final papers/projects...hahahahahahah. This is the LAST week to file your federal and state taxes with TRiO SSS. 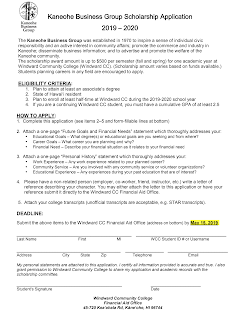 The DEADLINE is April 15, 2019. Call 235-7487 to make an appointment with Dorene. 24/7 Finals begins Sunday, May 5 and ends Friday, May 10. 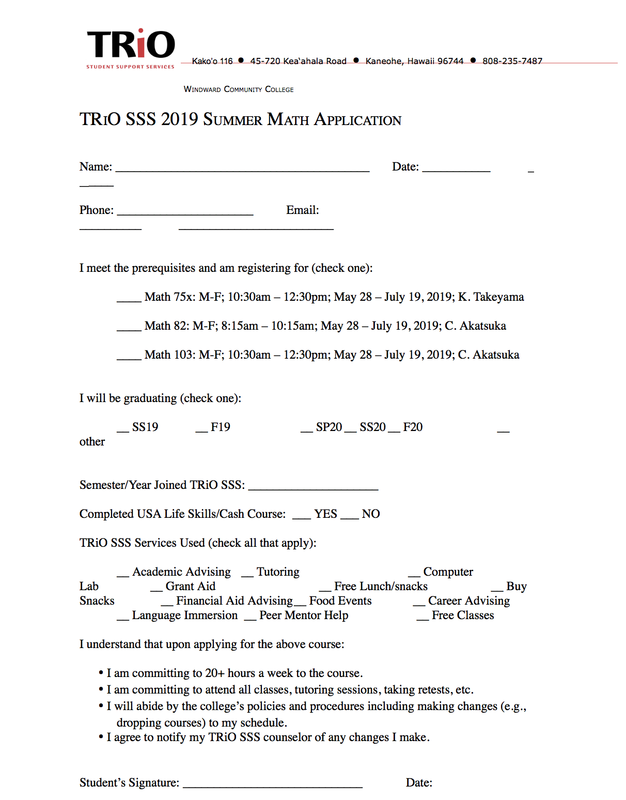 Attached is the application for the FREE TRiO SSS Summer Math courses. 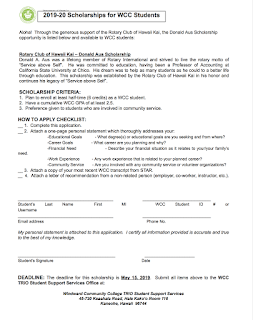 You need to fill it out and meet with Roy in order to complete the application process. Be sure that you are willing to commit to 20+ hours a week for class, homework, and testing. Over the past 8 years, 83% of the students passed with A's, B's, or C's and 74% passed with A's or B's. It is due to the hours committed to going to class and studying. If you have the time, energy, and commitment, we guarantee you'll pass the course with an A or B. If you haven't registered yet, you're almost out of time. VIP registration ends on Sunday. You need to register now to get the best schedule as well as the instructors and classes you want. If you need help picking out classes, come see us or your counselor. The PIN number is 000099. If you haven't filed your taxes, call 235-7487 and schedule an appointment with Dorene. VIP registration for the 2019 Fall and 2019 Summer Session in now OPEN and you can register for courses now. For the 2019 Summer Session, please contact Serena at the above email address or call her at 235-7487 so that she can input your PIN Number before you register. Call Dorene at 235-7487 if you need to file your federal and/or state taxes. Hope you had a relaxing Spring Break, got recharged, and ready for the sprint to the end of spring semester. FYI, these last few weeks are going to fly by so be sure to stay on top of your assignments. Last day to Withdraw w/ a "W"
Register for Summer/Fall 2019 classes! If you think you might have to withdraw from a class, please see your counselor, Serena, or myself and talk to the Financial Aid officers. Withdrawing from classes could impact your financial aid and academic progress, so it's always important to talk to us first. Did YOU file your federal and state tax return? Pick your classes for VIP registration? Watch for future emails about 24/7 and Summer Math courses. The Fall 2019 Schedule of courses is up at https://www.sis.hawaii.edu/uhdad/avail.classes?i=WIN&t=202010. Pick your classes now so you're ready to submit on March 26 to ensure you get the best instructors, classes, and/or class schedule. 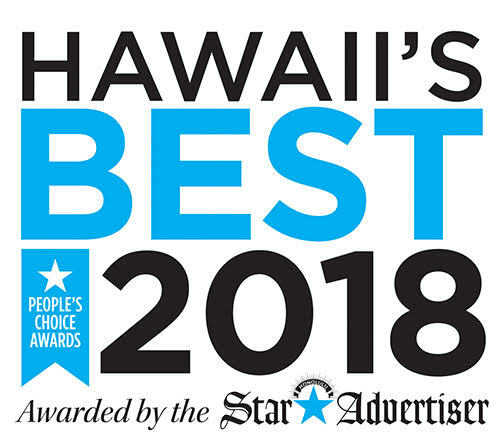 If you need help choosing classes, see your counselor or come see us. Did YOU file your federal and state tax return? TRiO SSS can help YOU file for FREE.